Dartsearch.net, also known as Clickserve.dartsearch.net, is an adware program which starts bombarding your computer screen with notifications after secret installation. The user himself/herself can accidentally allow these pop-ups and pop-unders to show if he/she presses the “Allow” button for Dartsearch ads. Additionally, these advertising posts might start redirecting the user to odd pages once clicked. You might land on a malicious website but the developer will gain revenue from your clicks. As you can see, Dartsearch.net virus might appear to be very sneaky and hide what it came for. However, note that these programs do not benefit the user, so there is no need of keeping them inside the system. According to researches, Clickserve DartSearch Net can infect both systems – Mac and Windows. Once installed, the program also makes changes to web browsers such as Google Chrome, Mozilla Firefox, Internet Explorer, Safari, or Microsoft Edge. Your browsers might appear with suspicious extensions added, a different homepage, etc. However, Clickserve.dartsearch.net also has the ability to track your browsing sessions. This means that the potentially unwanted program can gather particular browsing details such as IP addresses, saved bookmarks, visited websites, pictures and videos viewed, search queries typed, and so on. Later on, developers use this data to provide revenue-bringing advertisements. 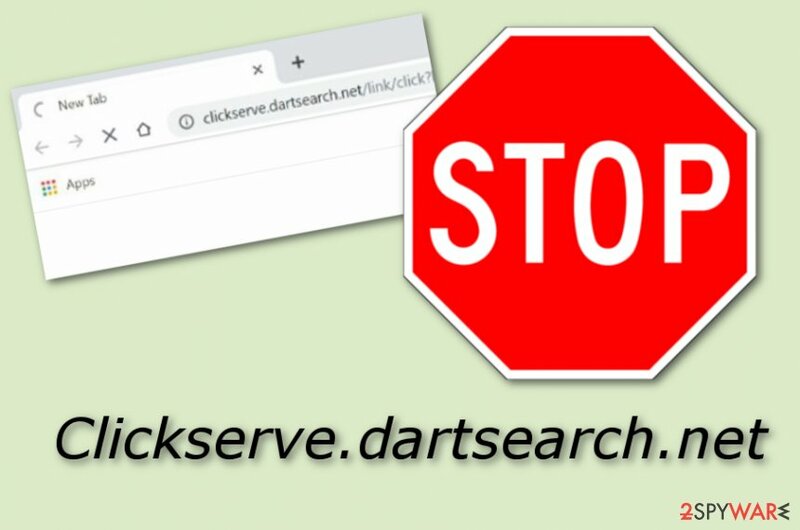 Dartsearch also caused dubious redirects to odd Internet web pages some of which might appear to be malicious or infected with dangerous malware. Do not risk to get a serious computer infection and terminate the PUP as soon as possible. However, if you encounter Dartsearch.net pop-up ads only on specific pages, you should install AdBlock to your browser as this program will prevent further advertisements from showing up. However, if you experience advertising frequently whenever you try to browse the web, this means that an adware program is guilty of such activity. You need to remove Dartsearch.net virus from your Mac or Windows computer system automatically or manually. Furthermore, you will need to clean infected web browsers from all adware-related content also. Clickserve.dartsearch.net ads might not seem that annoying from the first view, as you can click the “X” button and the notification will go away. However, the longer you keep this intruding program on your computer, the worse the advertising activity will get. Later on, ads might start covering your computer screen all over the place, intruding browsing sessions, and not allowing you to browse properly because of causing crash downs. Dartsearch.net removal is the best option you can make if you have been dealing with this cyber threat recently. If you are keen on trying the elimination process on your own, take a look at some instructions that are displayed below the text. 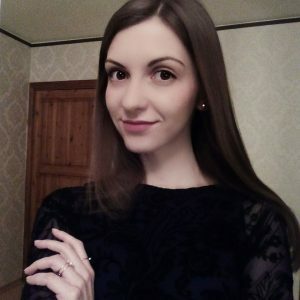 However, our suggestion would be to use a tool such as Reimage to detect all suspicious components and proceed with the deletion automatically as this technique is more likely to succeed safely. According to NoVirus.uk experts, potentially unwanted programs are very likely to appear on unprotected websites and infect the user via questionable hyperlinks. Another way to get your computer infected with adware is by downloading and installing software from non-original providers. This way you also risk getting infected with a potentially unwanted application or its components. Some good news is that all rogue installations can be avoided if you act carefully while browsing the Internet sphere. All you need to do is avoid suspicious-looking pages and not access every hyperlink you overcome. If an odd page appears in front of you, close it immediately and never return! Moreover, you can scan your computer with reputable anti-malware to make sure that no malicious program has managed to slip through. Avoid secret adware installation by using only original downloading sources. Third-party ones might contain lots of dubious content which is likely to place itself on a computer once activated. For this reason, our suggestion would be to use the Custom or Advanced installation mode only. Here you will have the ability to track all of your incoming downloads and deselect the unwanted ones. You can remove Dartsearch.net virus from your computer system manually if you are likely to. Look through the below-given elimination steps and choose them depending on your operating system. Furthermore, get rid of all suspicious-looking content from web browsers such as Google Chrome, Mozilla Firefox, Microsoft Edge, Internet Explorer, and Safari. Performing the Dartsearch.net removal with specific computer tools increases the chances that the cyber threat will be eliminated successfully and safely. Additionally, do not forget any adware avoiding measures that you have read before. It is very important to learn how to prevent similar threats in the future in order to protect your devices and browsers from possible secret infiltration once again. Here, look for Dartsearch.net or any other recently installed suspicious programs. When in the new window, check Delete personal settings and select Reset again to complete Dartsearch.net removal. Once these steps are finished, Dartsearch.net should be removed from your Microsoft Edge browser. Here, select Dartsearch.net and other questionable plugins. Click Remove to delete these entries. Now you will see Reset Firefox to its default state message with Reset Firefox button. Click this button for several times and complete Dartsearch.net removal. Here, select Dartsearch.net and other malicious plugins and select trash icon to delete these entries. Click Reset to confirm this action and complete Dartsearch.net removal. Here, select Extensions and look for Dartsearch.net or other suspicious entries. Click on the Uninstall button to get rid each of them. Now you will see a detailed dialog window filled with reset options. All of those options are usually checked, but you can specify which of them you want to reset. Click the Reset button to complete Dartsearch.net removal process. ^ Macintosh operating systems. Wikipedia. The free encyclopedia. ^ Bookmark. Techopedia. Tech terms and computer definitions. ^ NoVirus.uk. NoVirus. Virus news and removal guide. This entry was posted on 2019-01-31 at 09:21 and is filed under Adware, Viruses. You can quickly scan the QR code with your mobile device and have Dartsearch.net manual removal instructions right in your pocket. How did you remove Dartsearch.net?